Introducing Harley. He is a 9yr old desexed male, Harley is one of the cuddliest fosters I’ve had. 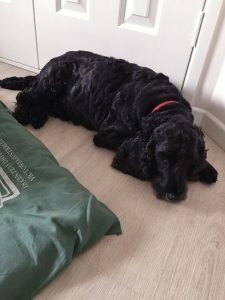 If you are looking for a warm, happy Cocker that is happy to sit by your feet but would prefer to be next to you on the couch for a cuddle then this is the dog for you. He has always had another dog with him so a friend is a must. 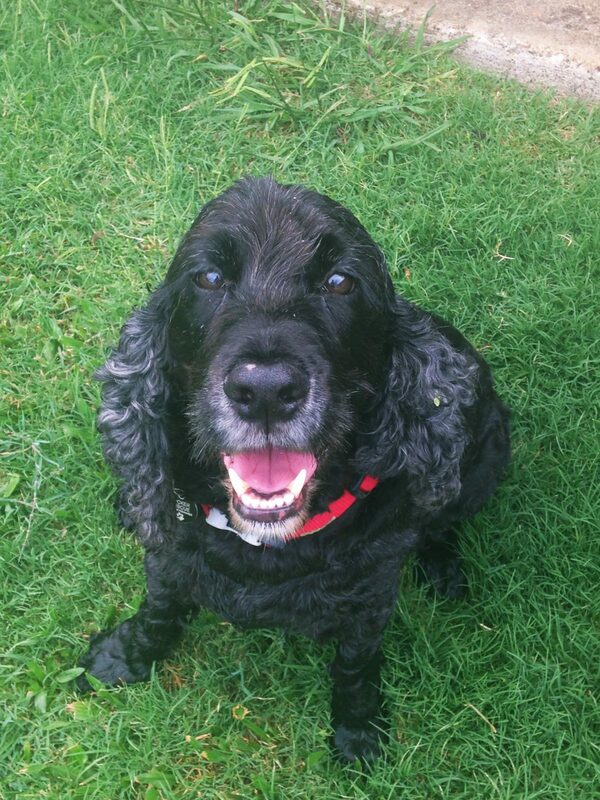 Great with children over 10 ok with cats, loves a game of tug-o-war and loves the water. At meal time he has a routine of doing a spinning Dance to let you know how excited he is that in dinner time. Is a very sweet gentle boy. 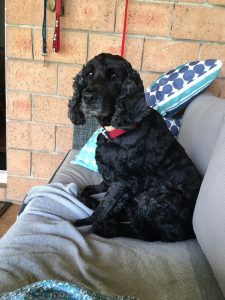 Harley is available for adoption to South East Queensland.